Foreigners found to have arrived in Singapore as tourists to look for work as domestic workers will have their work-permit applications rejected, the Ministry of Manpower (MOM) said. In a statement to The Straits Times, it added that foreign maids already working here who are found to have entered Singapore as tourists will have their work permits revoked. The MOM was responding to a report by The Straits Times last week, in which maid agencies said they were planning to bring Filipino women here as tourists instead of going through the legitimate route of declaring to the Philippine government that they are overseas workers. This is to get around Manila's regulations stating that employers should bear domestic workers' placement fees, which on average cost $2,000, or four months' salary. The MOM said it "would like to remind Singapore employment agencies and employers that a prospective foreign domestic worker should not be coming to Singapore as a tourist in the hopes of looking for employment". The ministry said that an in-principle approval (IPA) letter must be issued and the security bond of $5,000 must be posted by the employer before a foreign domestic worker arrives here. The ministry added that it has rejected the work-permit applications of foreign domestic workers who were found to have been in Singapore during the application process. But The Straits Times understands the number of rejections is small. It added: "While Singapore is unable to enforce the laws of a foreign country, employment agents and employers should consider their ability to comply with exit regulations imposed by source country governments if they want to bring in foreign domestic workers of a particular nationality." Maid agents said some of their counterparts get the foreign women to enter Singapore as tourists to be interviewed by potential employers. Once they have found an employer, they will leave for Johor Baru and come back to Singapore again when their IPA letters are ready. This is done to beat the system, which makes it a must for foreign domestic workers to have their IPA letters before they come here. 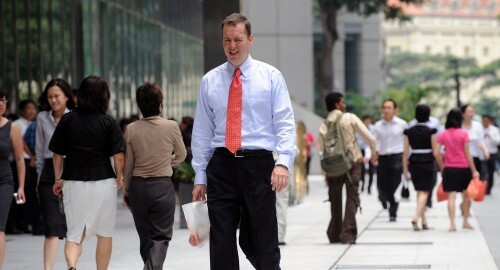 Association of Employment Agencies (Singapore) president K. Jayaprema said other problems may arise from this situation. "Some of the women will moonlight while they are looking for employers. They will clean homes on an hourly rate. But what if they get injured? The person who hired them will be in a lot of trouble," she said. Best Home Employment Agency owner Tay Khoon Beng said employers can tell if their maids have come to Singapore legitimately from the amount of their placement fees. Employers pay these fees first and recoup the cost through deductions from maids' salary. He said the placement fees of maids arriving legitimately are equivalent to around four months of their salary. Those whose fees are more than that are likely to have come as tourists because agents need to bribe such personnel as airline ticketing staff to let the women leave. The cost is passed on to the women through their placement fees. The Philippine Embassy has warned that it will blacklist up to 10 Singapore maid agencies by the end of the month, and said more could follow if they continue flouting Manila's recruitment rules.